Matt Damon says that he was aware of Harvey Weinstein's alleged sexual harassment of Gwyneth Paltrow. During an interview with Good Morning America's Michael Strahan, Matt explained that he found out about the incident because Gwyneth dated Ben Affleck—Matt's friend and frequent collaborator—shortly after. "I knew the story about Gwyneth from Ben because he was with her after Brad [Pitt]," Damon said. "But I was working with Gwyneth and Harvey on [The Talented Mr.] Ripley." Per The New York Times, Gwyneth was dating Brad at the time of her alleged harassment by Harvey, and told him about the incident, prompting Brad to confront Harvey at a theater premiere. Matt said that he never spoke to Gwyneth himself about the alleged incident. "Ben told me, but I knew that they had come to whatever agreement or understanding they had come to," he explained. 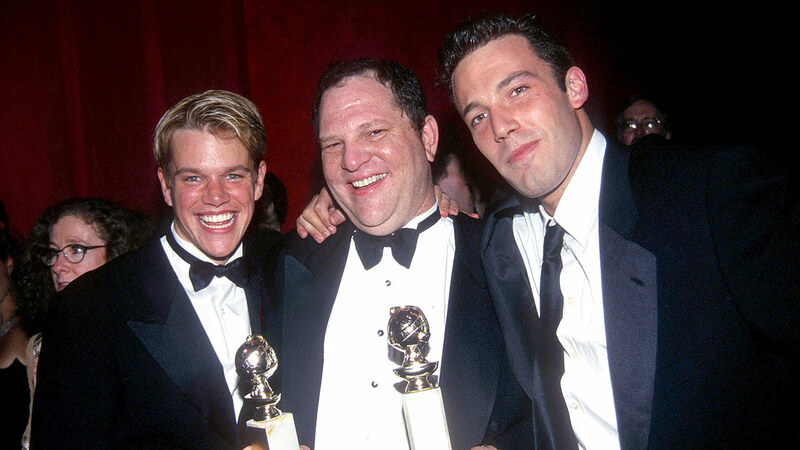 Matt also said that having worked with Harvey on several films, he found the studio head to be a "bully" and a "womanizer." The actor claimed he was unaware of the multiple other allegations against Harvey, and unaware that Harvey's treatment of Gwyneth was part of a pattern. Ben spoke out about the allegations against Harvey earlier this month, writing on Facebook: "I am saddened and angry that a man who I worked with used his position of power to intimidate, sexually harass and manipulate many women over decades." In response to The New York Times' initial article published October 5, Harvey issued a statement partially acknowledging the accusations, saying, "I appreciate the way I've behaved with colleagues in the past has caused a lot of pain, and I sincerely apologize for it." His attorney Charles Harder said in a statement that The New York Times' story "is saturated with false and defamatory statements about Harvey Weinstein," and threatened to sue the paper. Lisa Bloom, another lawyer advising Weinstein, said in a statement that "he denies many of the accusations as patently false." Both Bloom and Harder have since resigned from representing Weinstein.